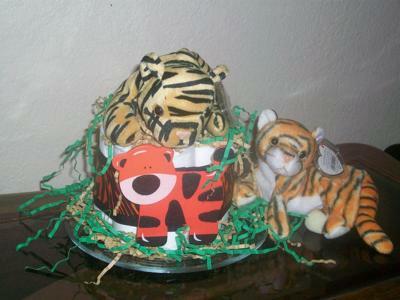 We love these different diaper cakes that Tambra created for an amazing Jungle theme baby shower! 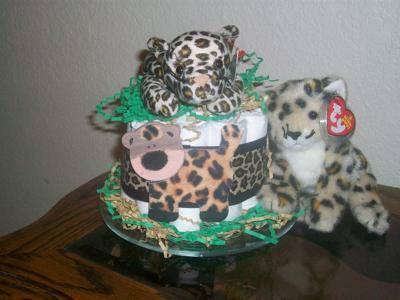 How fun to do individual diaper cakes for the different animals, including a giraffe, leopard, Tiger and Zebra! So adorable! 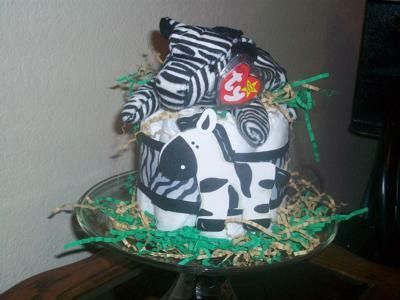 Tambra not only submitted her various diaper cakes, but she also submitted photos of the entire baby shower!! Check them out right here... Her ideas are amazing! And even more amazing than that is Tambra's wonderful willingness to share her ideas with the rest of us! She has gone above and beyond in sharing her creativity and tips, and counted among our incredible readers who have 'paid it forward.' Thanks so much Tambra, you are truly an inspiration! We are so pleased to pass your ideas along to all of our readers! 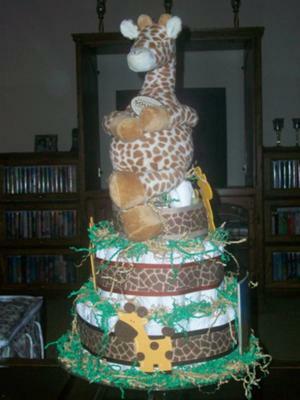 Please share any ideas or photos of diaper cakes, crafts or decorations for your baby shower! You can 'Pay it Forward' and inspire thousands!